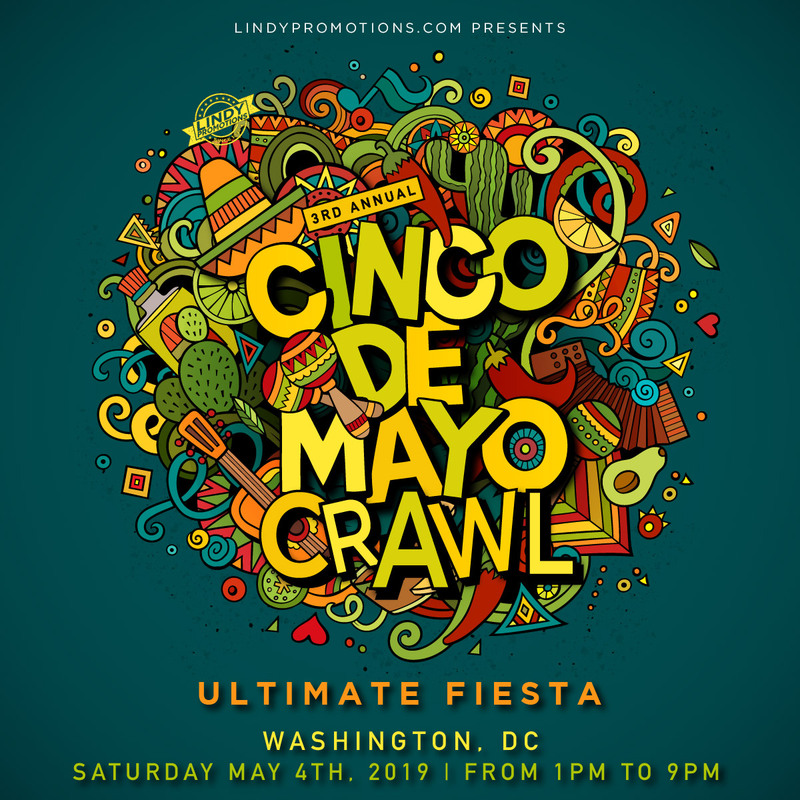 The ultimate tequila and corona fiesta day has arrived, Washington DC, and that means it’s time to launch Joonbug’s Cinco de Mayo bar crawl! As we teeter on the brink of summer, we’re taking DC on a sizzling expedition for the best margarita (or whatever poison you sip) in our nation’s capital. That’s right – expect exclusive drink specials at every locale on this Cinco de Mayo bar crawl and a rowdy crew that shows you how to party through this all-day fiesta. Don your sombrero and drop a lime in your drink of choice as we give this exhilarating Mexican holiday the celebration it deserves. Your bar crawl wristband grants you cover-free access to DC’s most spirited hot-spots so you get a taste of every flavor this Cinco de Mayo. Party all day and night because the tequila train isn’t stopping anytime soon this Cinco de Mayo. Between 1pm and 6pm cruise on over to the registration point for your wristband and map that guide you through your Cinco de Mayo booze tour. Rally, DC, it’s time to crawl!